The long time of silence at least has been interrupted. Here we are presentiing new stuff: The Kittenqueen – based on the Katzenkönig The long announced 3-band parametric EQ in the full control version. Read some interesting news about the Modular Looper project. There is a new 3-band parametric eq for you to build. Its intended as a tone control to be built into an effect. There will be a standalone version as well. Read some interesting things about graphic and parametric equalizers in the new knowledgebase-article. 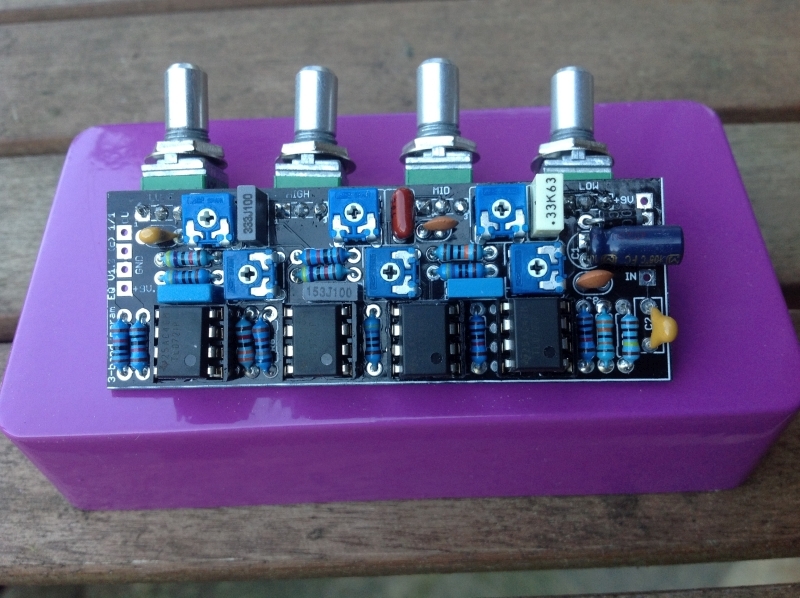 Also there is a new DIY report on the same topic Equalizers.